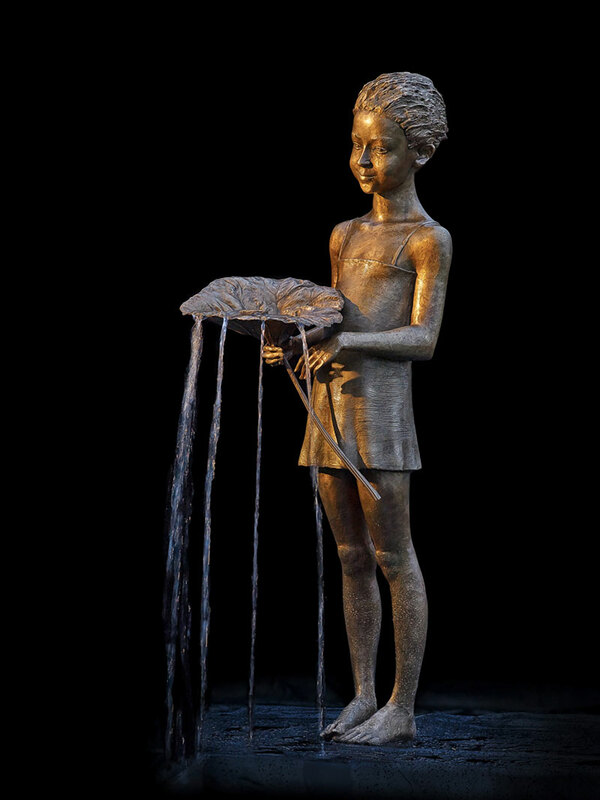 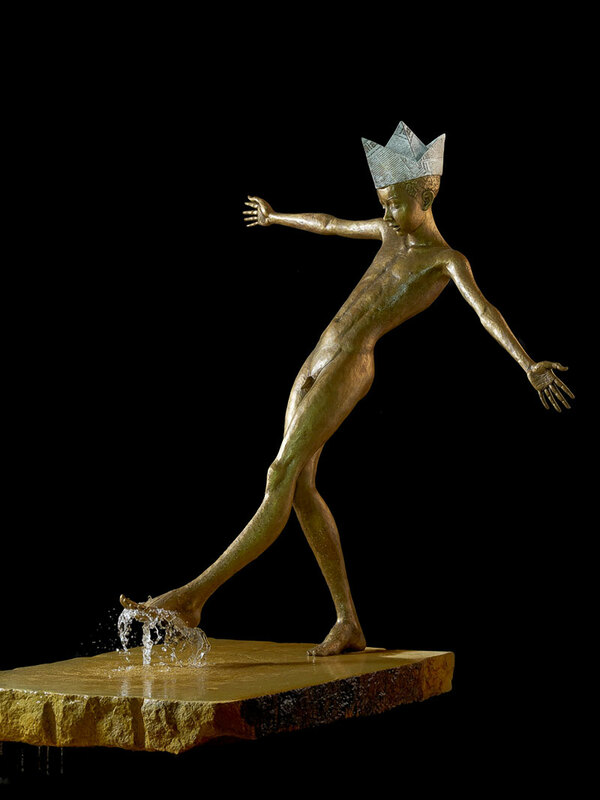 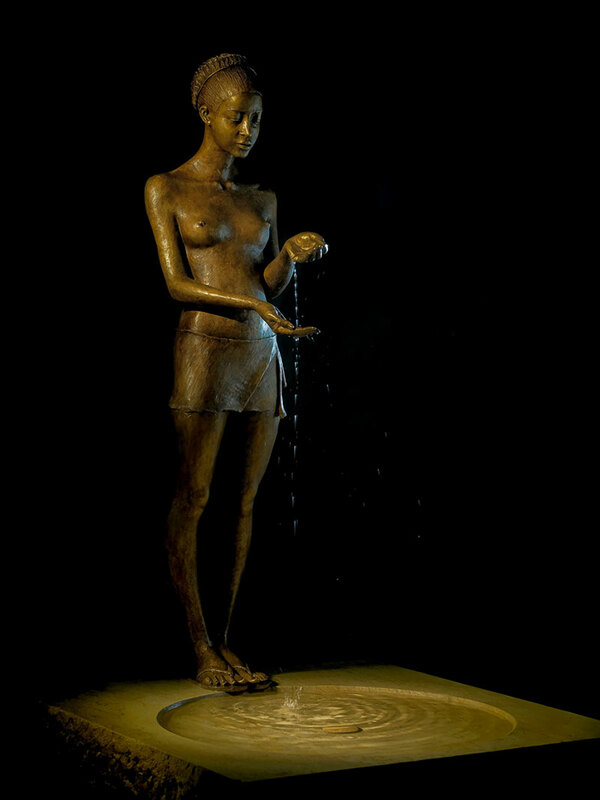 Beautiful bronze sculptures incorporating the element of water by Polish sculptor Malgorzata Chodakowska. 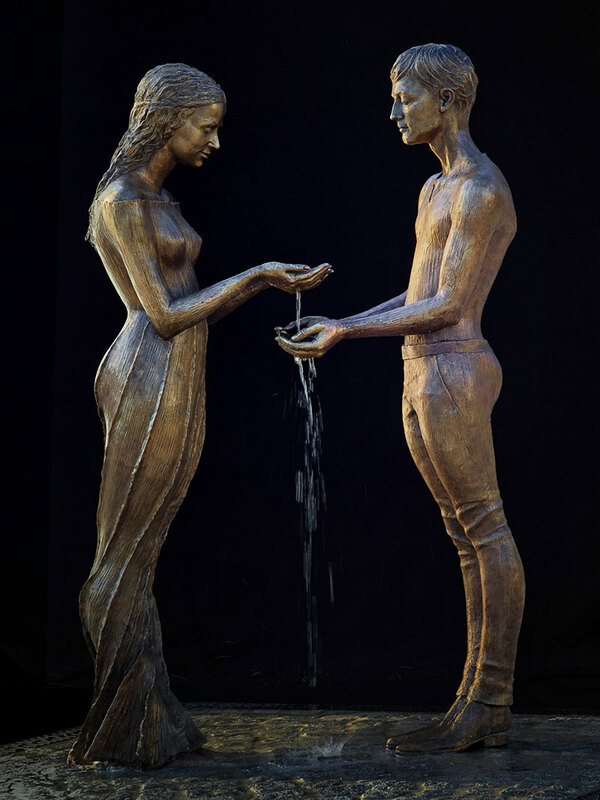 Depending on how complex the figures are, it takes her about 2–6 months to finish a sculpture which starts by modeling them out of clay and then casting them in bronze. 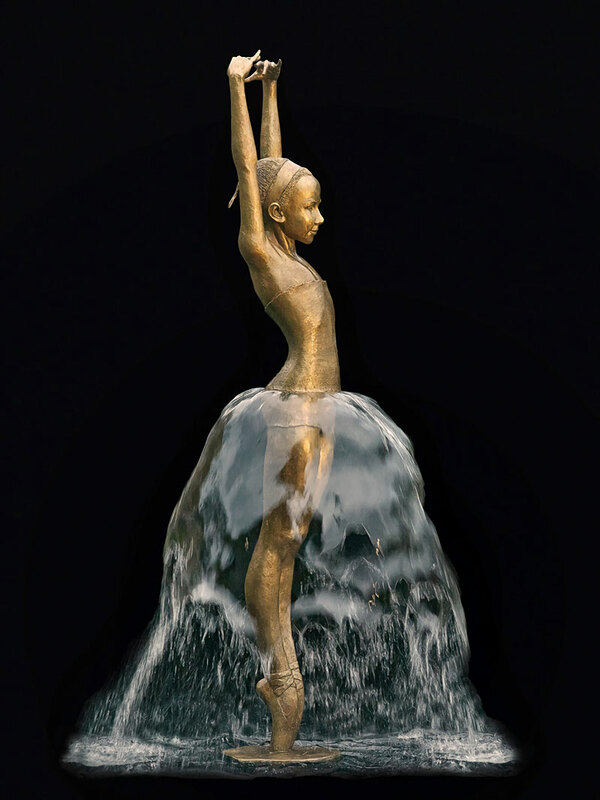 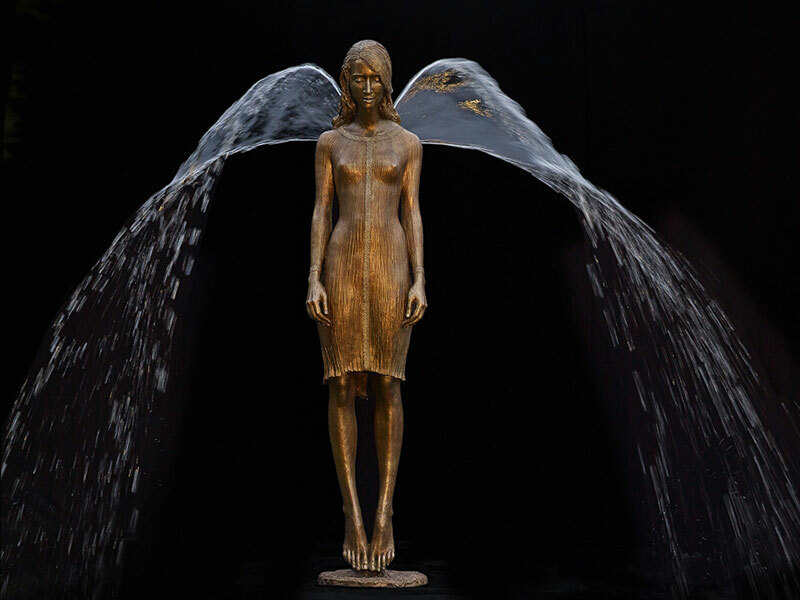 To turn them into a fountain, Chodakowska uses her imagination to decide how best to have the water emerge from the sculpture—a standing figure is turned into an angel with wings, a ballet dancer inspired by Edgar Degas has the water flowing to form her skirt. 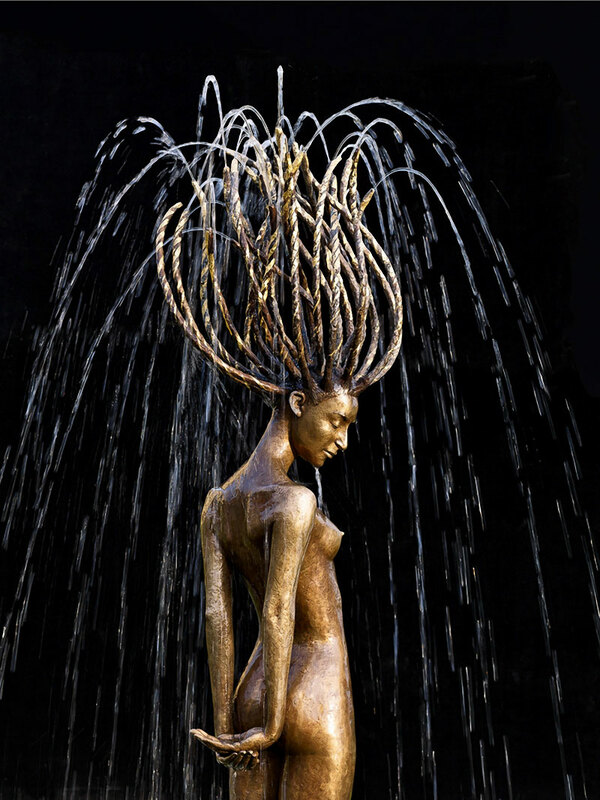 In an age where some artists reject beauty and turn to fashionable art trends, her sculptures have a quality that stands the test of time. 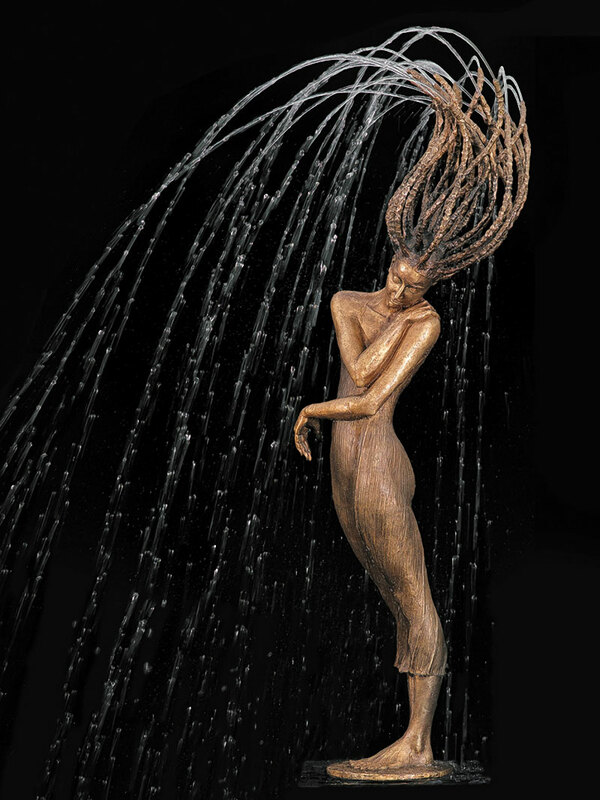 Beautiful bronze sculptures incorporating the element of water by Polish sculptor Malgorzata Chodakowska.